To request a copy, please contact our lab manager at ipere011@ucr.edu. Davis, E. L., *Parsafar, P., *Quinones-Camacho, L. E., & *Shih. E. W. (in press). Psychophysiological assessment of the effectiveness of emotion regulation strategies in childhood. Journal of Visualized Experiments. Davis, E. L. (in press). The autonomic nervous system (ANS). The SAGE Encyclopedia of Lifespan Human Development. Cho, S., Philbrook, L., Davis, E. L., & Buss, K. A. (2016). Sleep duration and RSA suppression as predictors of internalizing and externalizing behaviors. Developmental Psychobiology, 1-10. Davis, E. L. (2016). An age-related mechanism of emotion regulation: Regulating sadness promotes children’s learning by broadening information processing. Child Development. Scrimgeour, M., Davis, E. L., & Buss, K. A. (2016). You Get What You Get and You Don’t Throw A Fit! : Maternal emotion socialization and child physiology during a disappointment jointly predict early prosocial development. Developmental Psychology. Davis, E. L., *Quinones-Camacho, L., & Buss, K. A. (2016). The effects of distraction and reappraisal on children’s parasympathetic regulation of sadness and fear. Journal of Experimental Child Psychology. Nekkanti, A., *Parsafar, P., & Davis, E. L. (2016). The Effects of Mindfulness Meditation on Adolescents’ Stress Management. UC Riverside Undergraduate Research Journal. Orozco, N. J., *Parsafar, P., & Davis, E. L. (2015). The Effects of Emotion Regulation Strategies on Global Information Processing. Audeamus, the University of California Undergraduate Honors Journal. Buss, K. A., Davis, E. L., Kiel, E. J., Brooker, R. B., Beekman, C. R., & Early, M. (2013). Dysregulated fear predicts social wariness and anxiety during kindergarten. Journal of Clinical Child and Adolescent Psychology, 603-616. Levine, L. J., Kaplan, R. L., & Davis, E. L. (2013). Young children’s use of cognitive strategies to regulate emotion. In B. Mesquita, D. Hermans, & B. Rimé (Eds.) Changing emotions (pp.1-9). Psychology Press. Davis, E. L., & Buss, K. A. (2012). Moderators of the relation between shyness and behavior with peers: Cortisol Dysregulation and Maternal Emotion Socialization. Social Development, DOI: 10.1111/j.1467-9507.2011.00654.x. Davis, E. L., Greenberger, E., Charles, S. T., & Chen, C. S. (2012). Emotion experience and regulation in China and the United States: How do culture and gender shape emotion responding? International Journal of Psychology, DOI:10.1080/00207594.2011.626043. Buss, K. A., Davis, E. L., & Kiel, E. J. (2011). Allostatic and environmental load in toddlers predicts anxiety in preschool and kindergarten. Development and Psychopathology, 23, 1069-1087. Davis, E. L., Levine, L. J., Lench, H. C., & Quas, J. A. (2010). Metacognitive emotion regulation: Children’s awareness that changing thoughts and goals can change feelings. Emotion, 10, 498-510. Quas, J. A., Wallin, A. R., Horwitz, B. N., Davis, E. L., & Lyon, T. D. (2009). Maltreated children’s understanding of and emotional reactions to dependency court involvement. Behavioral Sciences and the Law, 27, 97-117. Davis, E. L., Quas, J. A., & Levine, L. J. (2008). Children’s memory for stressful events: Exploring the role of discrete emotions. In M. Howe, D. Cicchetti, & G. Goodman (Eds.) Stress, trauma, and children’s memory development: Neurobiological, cognitive, clinical, and legal perspectives (pp. 236-264). Oxford, England: Oxford University Press. Quas, J. A., Davis, E. L., Goodman, G. S., & Myers, J. E. B. (2007). Repeated questions, deception, and children’s true and false reports of body touch. Child Maltreatment, 12, 60-67. Levine, L. J., & Davis, E. L. (2008). 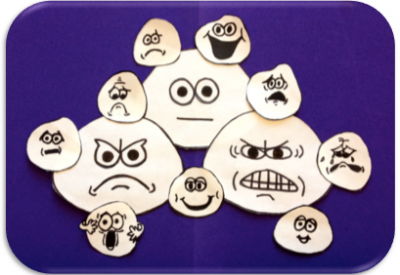 Keeping their cool at school: Emotion regulation strategies that promote children’s learning. The Emotion Researcher: Newsletter of the International Society for Research on Emotion.